Internet marketing is one of the many online disciplines that don’t require education, certification, or any type of entry point that comes with the right background or experience. Same goes for content writing, web design, web development, advertising, PR – you name it. It’s not the same for medical professionals and lawyers – which is why we don’t deal with these problems in the first place. Sure, some are better and more experienced than others, but you know that they’ve studied hard and gone to some of the best medical or law schools in order to land a job in the first place (let alone all of the internships and apprenticeships in their first years). That said, Internet marketing looks extremely easy on the surface. You have a great product which means that everyone would love it and would pay a fortune for it. We have social media and blogs and everyone is hanging out there. However, that’s not the case. And it’s challenging both for creating a competitive product and innovating. How Challenging Is Internet Marketing? If you’re offering products or services in a crowded space with tens of thousands of service providers (or millions when accounting for all of the freelancers and consultants), it’s extremely hard to find your voice and tap into a developed market, stealing some market share from other service providers. All of them are flooding various channels with content, free promotions and giveaways, webinars, consulting sessions, free demos and what not. If your solution is unique and there aren’t other service providers that have created the niche, you have to educate your market. You have to create the need and convince people that your solution will save them time and money, grow their revenue, automate their processes or anything else. On top of that, starting businesses and consultants have no brands. They rarely have some credibility for starters which would convince prospects that this solution is high quality or will still be around in a year from now. After all, 90% of all startups fail. Switching vendors or consultants is a tedious and time-consuming task that most customers would like to avoid as much as possible. There are Internet marketing consultants and agencies that specialize in providing outstanding services for their clients. They profile in different areas – from content marketing through SEO, PPC, outreach, guest posting, creating marketing funnels, designing highly converting landing pages, optimizing user experience and conversion rates, creating webinars, developing social media presence and brand awareness. They have worked consistently for years in order to build the right processes that work and implement them continuously – which reflects on traffic and sales with time. If you are a beginner marketer who wants to start offering solutions to clients, join a marketing agency for a few years or start working on your own project. You need the right experience, authority, and portfolio in order to start selling similar solutions to prospects. There’s a lot of theoretical knowledge online but it’s only applicable in certain scenarios – depending on the maturity of the brand and the brand awareness, existing connections, the portfolio, case studies, and previous experience in the space. If you are a business owner who wants to apply marketing techniques after hours, consider hiring a marketer in-house or finding a consultant/digital agency which could design the right strategy for your business. Either way, the lack of industry experience and successfully implementing tactics that increase traffic and sales take time and money. Learning on top of your own business or your clients wouldn’t work and the vast majority of the prospects wouldn’t pay for experiments, either. First off, review their credentials, portfolio, case studies. Check out the brands they are working with. Reverse-engineer their campaigns and assess whether that type of exposure would be beneficial to your business. Also, working with a marketing company that has former experience in your industry is certainly recommended. 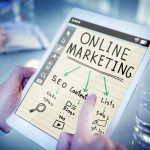 Internet marketing has some common strategies that could be applied for each niche but there are numerous valuable nuggets that industry experts know inside out. Every marketing agency has to conduct market research and competitor analysis, a SWOT analysis and a few more research studies in order to familiarize itself with the market, the product offering, and the key strengths of your products or services when compared to the other solutions available on the market. While an internet marketing agency that hasn’t worked in your field could find the key niches that could be leveraged for higher conversion rates, it’s possible that they may miss some if they’re not deeply rooted in the industry. Moreover, an internet marketing agency profiling in certain verticals may have strategic relations with bloggers, journalists, and other industry experts in your field. This could be instrumental in landing guest posts in industry magazines, receiving some added exposure for your brand, finding influencers, generating the right type of industry content and finding your voice in your field. When interviewing marketing agencies, ask them about their proposed marketing strategy. Even if they are not familiar with your products, send them a couple of links and a brief description of how you run marketing and ads to date, what you assume to be an ideal customer, and what are your profitable channels so far. Even marketing consultants who haven’t worked in your field can come up with some fresh ideas and a rough plan for the next few months. Proven marketing leaders may request payment for the initial discovery session or building your marketing strategy. This may still be invaluable if you adopt the strategy and implement in in-house or hire external consultants who can work on various aspects in the meantime. What you need to discuss with your marketing agency are key KPIs. While you may not be familiar with many of them, it’s important to come up with some realistic goals that are negotiated with the agency. Sure, increasing traffic and sales are the obvious ones but they may depend on building more content, increasing the number of social media followers, landing some guest posts with backlinks which would increase your SEO. There are different ways to position yourself on the market but KPIs and some time frames are still needed in order to justify the investment in an external service provider. Many small businesses are looking for “quick wins”. And there are various providers on Fiverr and Upwork who promise you dozens of backlinks from authority sites for 20–100 bucks within a single month. That’s extremely dangerous for your reputation and Google may very well delist your website from the SERP results if you’re implementing black hat techniques, spamming forums, or using other shortcut techniques. Building and implementing a marketing strategy takes a lot of time. The minimum time that it may take to see some results would be 6–9 months while many businesses report significant results after a year and a half. Depending on your budget, you may focus on 2–3 strategies and amplify your exposure there until you can afford to target various verticals simultaneously and become a top of mind for your prospects. How To Build Your Own Marketing Team? Let’s start with the business requirements. 2–3 web design projects per month could take half a year to close in many organizations. Some design studios working with enterprises may spend 9 to 15 months in pitching, negotiations, initial planning, discovery sessions, early drafts, competing with other agencies, doing presentations on-site and sn o on. A $200 website installation project is one thing. A $15,000 small business web project follows a completely different sales cycle. A $250,000 build for the government, a university, or a rapidly growing industry platform is a whole other story. Here is a video I created on building a marketing team. I also created a couple of other videos to guide startups. What About Your Experience, Brand, and Portfolio? If you haven’t started your company yet, it is important to note that building a reputation as a company takes forever. You need some established portfolio, credentials from your previous customers – testimonials or reviews – case studies of problems solved by your team. There’s also the reliability of the company – a business just founded a month ago may disappear at any moment. Someone who’s been around for 5 years is much more credible. A 20-year-old agency has already proven itself as a leader in some niche. A 50–100 years old company is already noteworthy and is likely killing it for half a century or more. But hundreds of new companies pop up every single day. What makes your brand so unique and saleable so that you can easily land a few projects monthly just like that? But, What Kind of Marketing Do You Really Need? I would question that a marketer for a “future company” can land 3+ warm leads a month just like that. You are likely looking for a sales director or a business developer who would be in charge of outreach, doing call calls and emails, attending industry events, building strategic partnerships and more. This may eventually bring some quick wins sooner rather than later. Collin Carlsen and I meet and discuss the pros and cons of inbound and outbound marketing, what’s all the fuzz about both, and which technique do we bet on. We review a sample scenario with a fixed budget and what we would normally do based on our expertise. A marketer wouldn’t generate any results over the first months through inbound marketing. Paid advertising, cold emails/calls are common in the toolset of an outbound marketer but they are heavily reliant on context – existing content, events, promotions, other data-driven resources. Plus, PPC may work out either way but finding the right way to position a brand new business in the web design space with hundreds of thousands of small web agencies is nearly impossible. As a summary, I’d revise the business plan and the requirements accordingly. Consider what are the expected goals for the first 6 months. Figure out what are the quick wins and the shortest selling cycles. Get a salesperson who would be on the phone all the time. Prior to that, make sure that you can build any credibility based on your own background and portfolio, combined with some of your other teammates. It will probably take longer and require a larger initial investment, but with enough persistence and patience, it will happen within 6–9 months. What’s your experience growing a marketing team so far? Let me know in the comments below. The post Internet Marketing For Startups – Outsourcing vs. Building Teams appeared first on Mario Peshev. The article Internet Marketing For Startups – Outsourcing vs. Building Teams appeared first on DevWP.eu.